So I started another Web site today…another blog. I just can’t help myself sometimes. 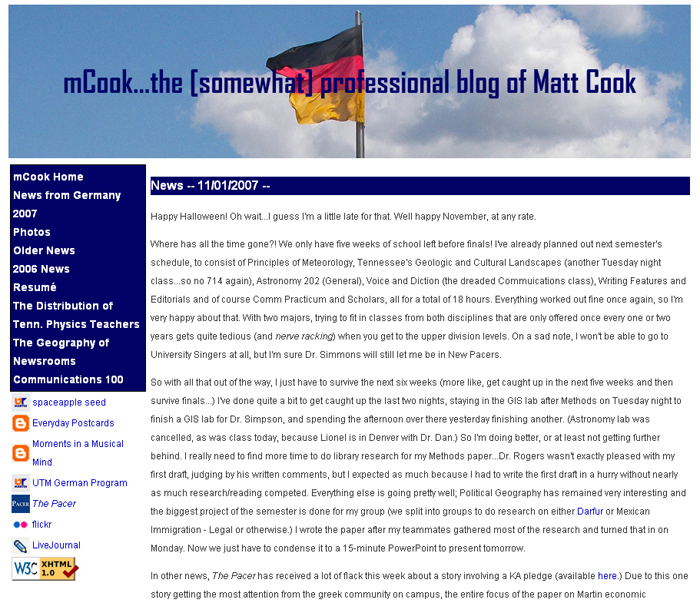 That’s not to say I’m abandoning mCook, but as that site clearly states, it is the [somewhat] professional blog of me. This is to be the professional blog. It will last long after mCook at UT Martin dies (I have to graduate sometime, after all.) And so for that reason, I decided to go ahead and get a Blogger account (conveniently tied to my Google account) set up.